For the first time, I was doing something that wasn’t primarily for myself, or for my parents. 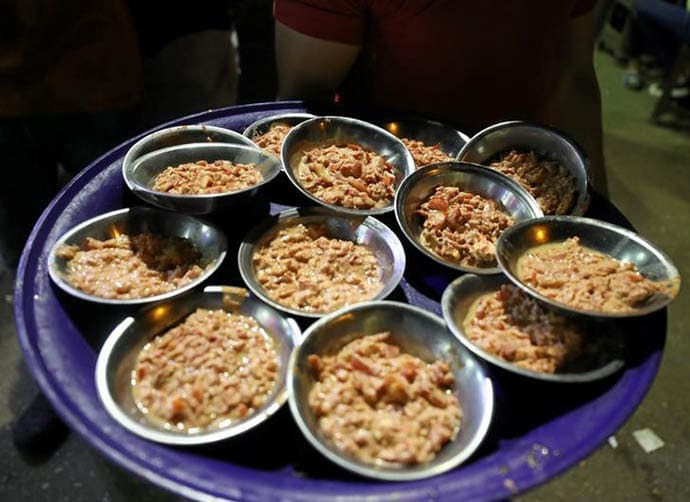 Religious fasting traditions — from the Ramadan to Ekadasi (Hindu) to Yom Kippur (Judaism) and Lent — are meant to unburden believers from day-to-day compulsions, drawing them closer to their conscience. Ramadan is always a very amazing month. Each of us goes through our own personal moments of ecstasy when we complete the days of fasting. Fasting (“sawm” in Arabic), like prayers, represents a private relationship each one of us has with God. 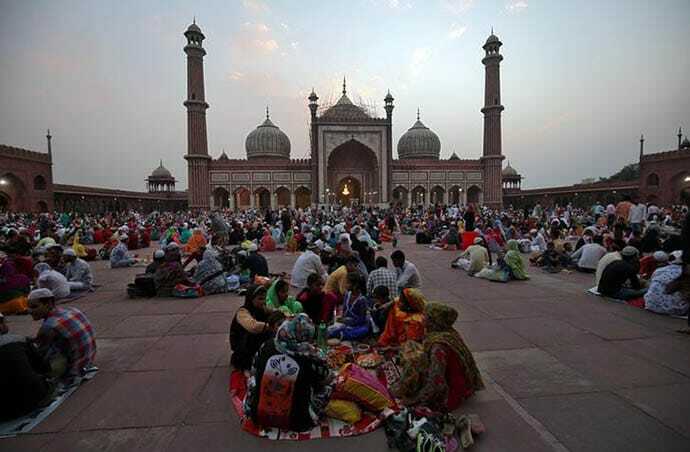 During Ramadan, Muslims have one meal before sunrise, called sahur — the pre-dawn meal — together, and share another meal with friends and family after sunset, called iftar — the fast-breaking meal. 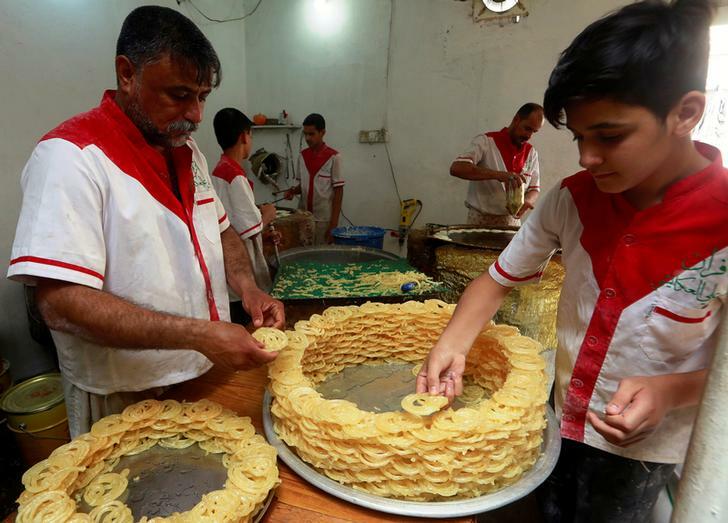 Ramadan is a month-long spiritual odyssey that is meant to rejuvenate us, both physically and morally. It enables us to detach from worldly pleasures to invest our time in intense prayer, charity and spiritual discipline and focus on our deeds, thoughts and actions. Fasting during Ramadan is obligatory for all able-bodied Muslims from when they reach puberty. 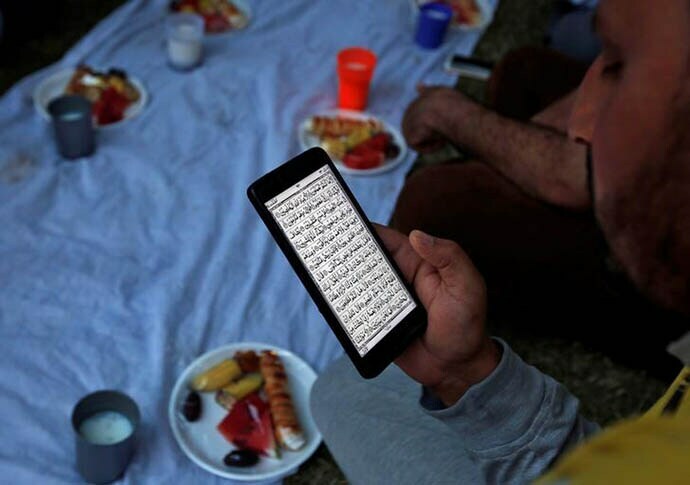 Only those who are exempt from fasting are those who are unwell, elderly, and those suffering from mental illness, or those who are travelling. Menstruating and pregnant women are also exempt. So are breastfeeding mothers. However, the exemption has a caveat. Those who skip the fast will have to make up for the lost days after Ramadan. Others donate what they would normally spend on food to a charity (fidiya, or “expiation”). Every Ramadan, we are blessed with many opportunities to undergo illuminating and enriching experiences that provide valuable lessons in understanding life and ourselves better. The fast is a reminder of the fragility of the human life and is meant to foster a relationship with God. Over the years, the experience has been life-changing for me. I learnt to be disciplined; started feeling empathetic towards the poor, as Ramadan taught me how it feels to be less fortunate. Every year, we gain something substantial, as the entire spiritual gymnastic nurtures our soul, leaving us like an engine overhauled, or a computer reformatted. I remember the early years of the fasting when my mother would tell us her childhood stories about Ramadan; how the table at the sunset would be full of delicacies; how she and her siblings would hold handfuls of food in front of their mouths, waiting for the cue from my grandfather to eat. At the end of the month of fasting, he would sacrifice a lamb, in the name of God, and feed it to the poor. The first time I fasted was when I was attending my school away from home. Marching up to the man in charge of the cafeteria, I fully expected to be rebuffed when I asked for food to take back to my dorm for a pre-dawn breakfast. But he just looked me in the eyes and asked what I would like to eat. Had I not been so stunned by his acceptance, I might have asked for a table full of treats. Later that night, nibbling on a meat sandwich, I realised, ”I’m fasting for Ramadan!” For the first time, I was doing something that wasn’t primarily for myself, or for my parents, or for good grades. By fasting, I was doing something for God, that which would bring me closer to the creator and sustainer of all existence. Later in college, on Saturday nights, other Muslim students and I would take the college van to a pancake house at 4 am. 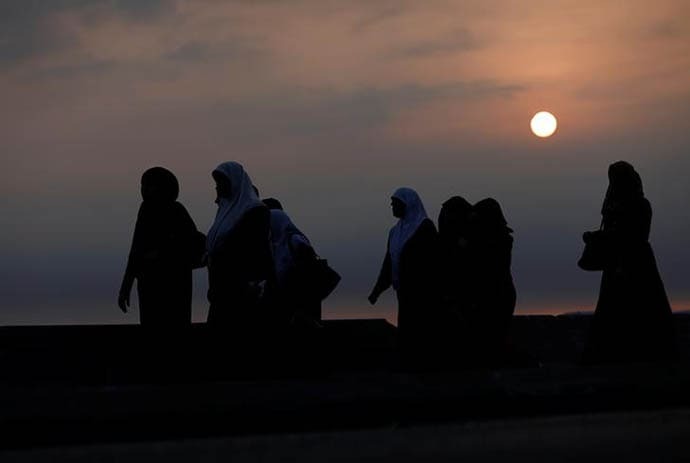 I told my non-Muslim friends, who always accompanied me to dinner in the dining hall at sunset, how the entire holy month of Ramadan was about feeling spiritually charged and elevated, despite hunger and deprivation. The fasting ritual is an eagerly awaited interlude to utilise the abstinence from food, drink and other indulgences as an opportunity to concentrate on prayer, meditation and worship. This, in turn, encourages greater reflection on one’s life and appreciation for the resources we sometimes take for granted. It teaches us about patience, self-restraint, spirituality, humility and submissiveness to God. The act of fasting for spiritual prowess makes us conscious, not just of our food habits, but of our thoughts, behaviour and interactions throughout the day. Ramadan helps us hone our patience because, by refraining from consumption throughout the day, we learn the benefit of refraining from gratifying each of our desires in the moment. Each fasting day during the Ramadan is a trial on the body and our spiritual resolve. Removing the regular comforts from our daily routine is intended to focus the mind on spirituality, prayer and charity. By fasting, we cut ourselves off the temptations and distractions of our busy, hectic, materialistic lives and try attaining “taqwa”, or “piety” or “God-consciousness”. With a decaffeinated, empty stomach, and a thirst that is difficult to tolerate, this act of fasting connects us to someone else. Our fasting draws us to the story of a woman in Somalia who has been walking for miles to reach and fetch firewood and water; successive droughts have ravaged her land, her body, and her children. Think of the uprooted who have become refugees traveling through Eastern Africa, walking for miles on foot in brutal temperatures with hot and dust-filled wind blowing in their faces. She’ll thank God, if they all make it alive to the feeding centre. The baby she is carrying no longer gets milk from her breast; she feels him shrinking in her arms as she walks. Her other children are trailing her. The mother keeps repeatedly telling them that they must put their trust in God and keep moving. One can understand her thirst as she utters the words of prayer with every precious drop of water she goes without to give to her children for their survival. Our act of fasting brings empathy for her that is greater than any ordinary day. I remember her when my head would go dizzy with thirst after running out on a simple errand in triple-digit heat. I can step back into my air-conditioned refuge; she can’t. I won’t complain of my exhaustion from too little sleep because I know she won’t find a sheltering place to rest in the harsh landscape. I’m hungry, but I can break my fast in a celebratory mood when the day is finished; I’ll take a cooling sip of clean, filtered water and literally feel it splash down in my empty gut at sundown. As I feel my body reviving, I remember the Somali woman’s fast has been going on since well before the Ramadan, and it will continue past. It is her way of life for years on end. For her “fasting” is not a choice, for her hunger is part of daily life. As we slice up exotic fruits to refresh our families after fasting, we keep seeing this poor woman. How can we set a table with melons, dates, rice, other lavish goodies and dollops of dainty creams when she has none? How can we keep stocking up on provisions featuring a variety of exquisite tasty food, such as sweetmeats, spices, savouries and sugary drinks, with which to break our daily fasts, without thinking of the woman’s broken heart when she has to tell her children she has nothing for them; the crops failed, the livestock died, and food prices have risen so high. She has no way to feed them. The suffering of these unlucky ones reminds us to be grateful for our fortunes. At times, we don’t realise how hard and coarse our hearts have become. The absence of any regular practice of self-reflection and contemplation has made us insensitive to the suffering around us. The pursuit of complacency has become our goal rather than the pursuit of contentment. We sacrifice things that would bring us everlasting comfort in pursuit of those things that simply give us the facade of comfort. The emphasis on enduring the fast stimulates us to move beyond the physical aspects of it and reach out in the direction of a spiritual fast. A fast from complaining, a fast from thinking ill of others, a fast from coarse language and harsh speech, a fast which is focussed not on food or drink, but how the absence of those things leads towards the development of a strong heart and soul. That’s the fast that we should strive for — one that moves beyond not feeding our bodies but feeding our souls. The essence of Ramadan is to become humble, simple and free from ill-will, anger, meanness and hatred. It is a one-month refresher course from which we can emerge as the greatest version of ourselves. It is a month of peace, forgiveness and reconciliation. Charity is a central tenet of Islam and a very important tradition during Ramadan. On several occasions, I have read that when we are handing something to someone in charity, it first passes through the hand of God before it reaches the recipient’s hands. I always imagine that when I give, I become humble. Holding wealth is truly an immense blessing that comes with the great responsibility and untold reward when we pass it along. All good deeds done in Ramadan fetch manifold rewards in the afterlife. Thus, apart from being a personal religious voyage, the season of sharing and giving reconfigures one’s social bonds. I pray that Ramadan gets into our hearts and minds and makes us embrace all shades of mankind without undermining their tradition and we treat every human on earth with dignity, respect and care acknowledging the diverse swath of races, ethnicities and civilisations. Thank you Rafiq— this is a excellent article for us all. This is my comment hopefully it will be benefits for all of readers TMT. Of course God command people to fast in order people can live better life than those who do not fast. God is the most knowing His creature— but unfortunately most Muslim do not get the excellent benefits from fasting and praying— we can see on the ground, Muskim kill other Muslim every day and never stop. Why? Million people go pilgrim every day to Meccah and pray there at front if Kaaba even the kiss the STONE asward and Kaaba—every mosque full with Prayer 5 times a day— but Muslim kill Muslim still continue till today. Why? 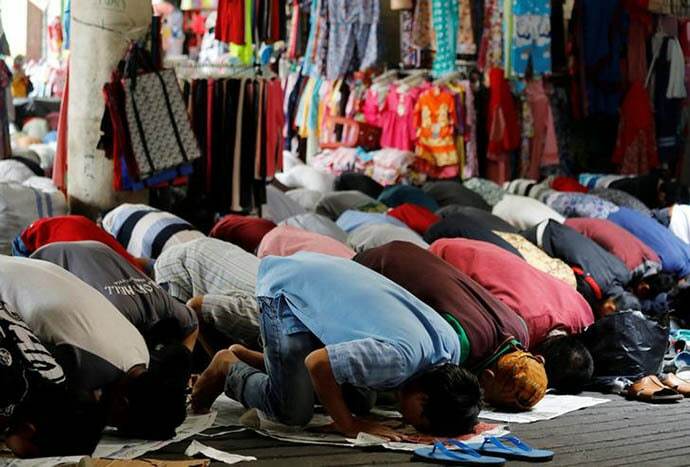 It seems to us that God do not listen million Muslim’s prayer or DOA. Why? Look at in Middle East and Saudi Arabia where Prophet was born, and look at Pakistan where Ahmadiyyah’s Messhiah was born what happening there? — there is NO PEACE, recently we heard that the extremist Muslim persecuted Ahmadiyyah destroyed Mosque and houses. Very sad indeed. Why? We always claim that our religion is a peaceful religion and mercy for mankind— but in reality non Muslim scare or suspecious with Muslim sinse 9/11 2001. For Ahmadiyya Muslim believe that a Peaceful Maker or Massiah has came to this world about 130 years ago with his goal to unite People and create peace, happiness and prosperisity on earth— but in reality that beautiful goal do nor happen at all, conversely conflict among Muslim is getting worser and worser every day— not getting better at all. Am I wrong ? I am skeptical with the purity of Islamic teaching ( Al Quran and Hadith). Islamic teaching has been contaminated with false hadith, the teaching OF IDOLS from the book of Hadith Muslim Bukhary. Why God do not listen to Million Muslim prayer or Doa? 1.Because most Muslim do not realize that they are worship IDOLS when they worship God—they associate God with Idol when they pray to God and when they go pilgrim to Mecca. 2. Because most Muslim do not realize that they follow some God’s laws and REJECT the rest of God law— refer to Q.2:85. That is why Conflict as punishment of God has been happening till to day and years ahead. As long as Islamic scholars or clerics do not find the root of conflict among Muslim — there is no peace and mercy in Islamic countries. Muslim kill Muslim will not end—ahmadiyyah, Shiah and Christian are the most victims of conflict in 21st century. I wish you all a blessed and peaceful Ramadhan.